I did quite a bit of canning last year. First time canning by myself, and in true Holley fashion: I couldn't just can one thing, I canned EVERYTHING. 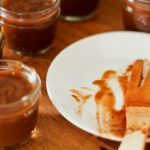 I am impressed with myself – I have given away or used 80% of the preserving done last year. And thank goodness, because it's almost time to start at it again! 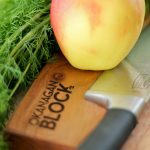 You can watch for some paleo friendly home preserves in the coming months… and I can count on some new scalds, burns and scars to show off. I'm really a disaster. 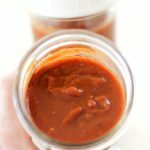 Fathers Day is right around the corner, this classic style BBQ sauce would be a great addition to Dad's paleo BBQ dinner that you are planning! Or any grilling this summer! 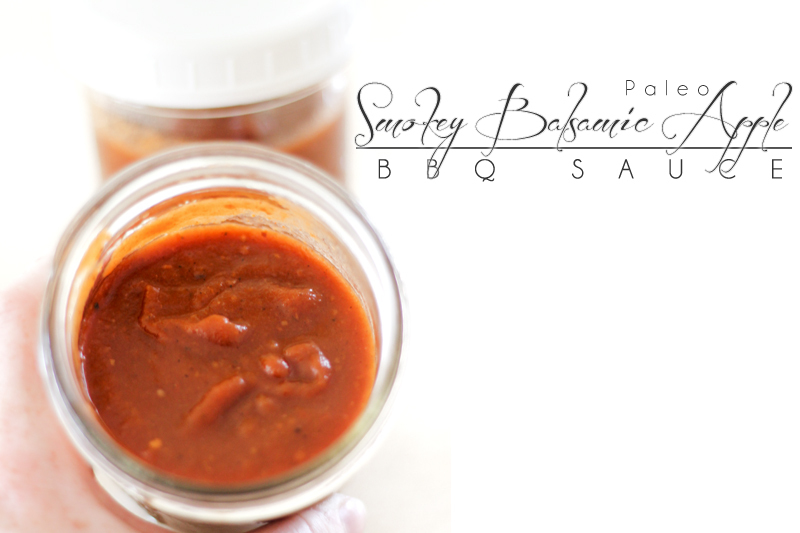 Also check out our other Paleo BBQ sauces: mango tequila or rhubarb habanero! 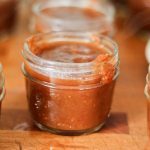 This paleo BBQ sauce was born from a flat of rotting apples in my cooler at work. Well, rotting is an exaggeration, but they were definitely not in top form. 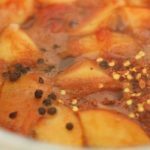 The great part about this recipe; the apples and apple juice make it sweet enough that you don't need any added sweetener- and it used up a bunch of canned tomatoes from last year! 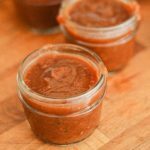 Paleo BBQ sauce! And I can feel good about using food that would have spoiled if not for my rescue. 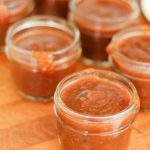 A classic style barbecue sauce, without sugar! The apples make it sweet enough. Smokey and sweet with just a hint of heat to finish. Core and quarter apple, stick in a heavy bottom pot. Add, apple juice, canned tomatoes, garlic, balsamic vinegar, chilies, peppercorns, salt, paprika, and ginger powder. 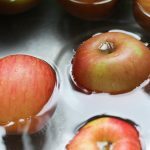 Bring to a boil and cover until apples are soft. CAREFULLY us an immersion blender and blend until smooth (it's hot, so if you splash yourself – it will burn! Alternately you can remove from heat and let cool until it is safe to blend. Add coconut aminos, liquid smoke and bay leaf, simmer for 40 min or until it thickens to desired consistency. 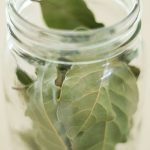 Remove bay leaf and spoon into jars. You can water bath can the BBQ sauce as well. Need gear? Canning kit and jars. 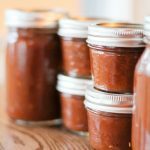 How many jars did this recipe make, Holley? Just a touch under 4 cups of sauce, but I like mine a little thicker. The first batch I gave away a jar, and split the other one with my parents. Then I made 4 more batches and water bath canned the sauce for longevity. 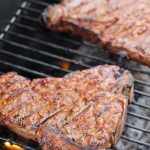 We marinated the steaks in it and didn’t get to cooking them til the next day. 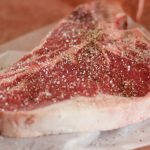 So the acidity really tenderized the meat. Excellent! 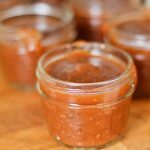 Deep BBQ sauce taste with no sugar or sweetener. Apples are amazing! Thanks for the review! 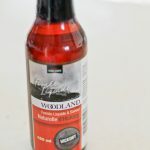 Would the taste be too different if I don’t have hickory smoke?